For the 2018 edition of Art 021 Shanghai, Chambers Fine Art is pleased to present a solo presentation of Wu Jian’an’s recent work. 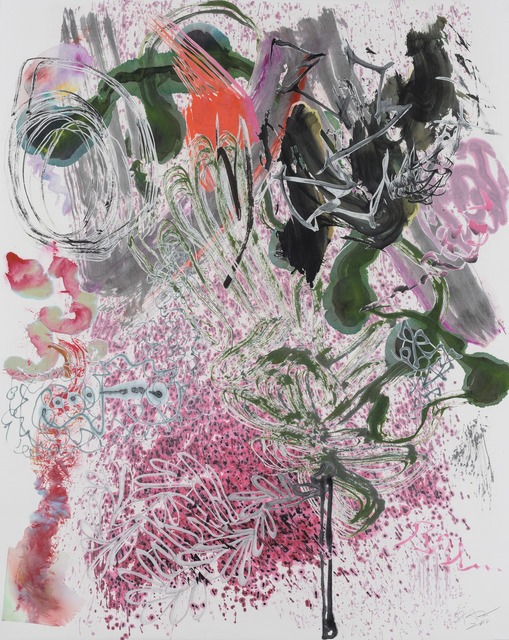 Newly created works from his well-known Color Ball series will be shown alongside two new 500 Brushstrokes works on paper. 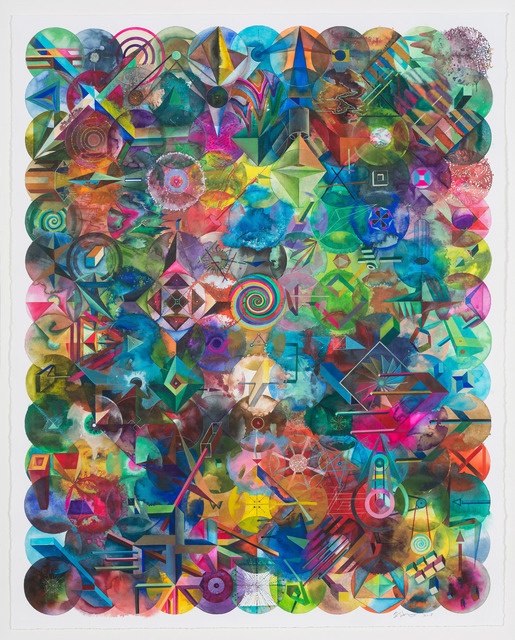 Wu’s Color Ball series stems from a previous body of work called Color Points, which utilized “cheap” materials: styrofoam bubbles on a piece of polysterol board each filled with different watercolor pigments. The principle is that every painted dot should be a mixture of several other colors, and therefore theoretically speaking, there should be no two colors that are exactly the same. The polysterol board provided an interesting physical structure in which the boundaries between painterly points were clear without any overlapping areas. 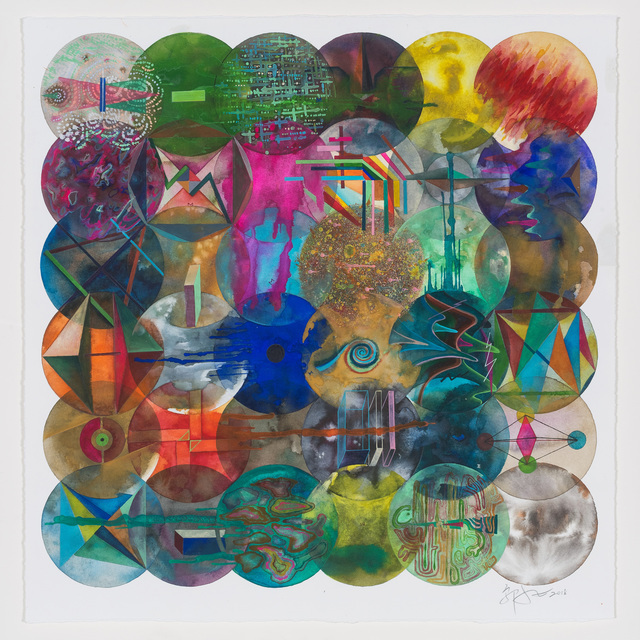 Color Balls, watercolor on paper, is Wu Jian’an’s “magnification” of the polysterol board work. The series features color balls that are not independent but overlapping and permeate those around them. On the picture plane there are often hidden geometric forms: parallelograms, stars, diagonal forms, crosses, and parabolic curve. Thus, many separate parts make up a greater whole. This underlying concept is explored further in Wu’s 500 Brushstrokes series, which was inspired by Lothar Ledderose’s book The Ten Thousand Things. In it, the author describes building systems in ancient China – the building of the Great Wall, for example – where many individual parts are created separately, only to be combined later to create a larger piece. Wu Jian’an’s 500 Brushstrokes are made up of individually cut-out ink and watercolor brushstrokes that are later collaged into a new composition on paper. 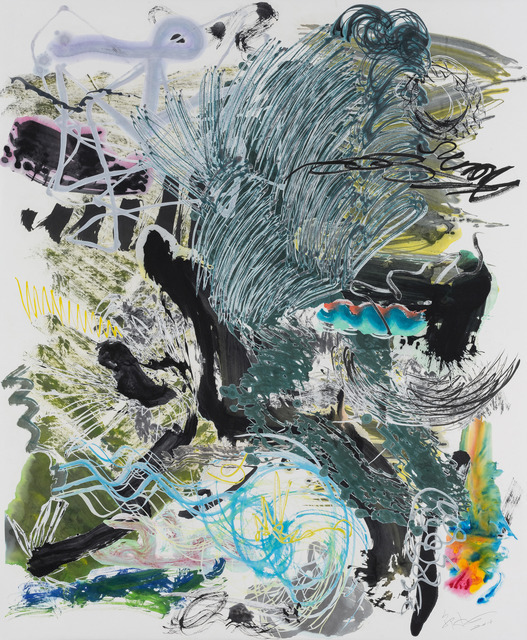 He sees the layered brushstrokes as a metaphor for society; made up of many individuals, the people who make up a country, or a continent can nevertheless co-exist in a layered, sometimes chaotic, but balanced society. Concurrently with Art 021 and Shanghai Artweek, Chambers will present a pop-up exhibition and late-night party co-hosted with performance artist Qinmin Liu (Angelhaha), and WE (WestEast Magazine). We will be presenting artworks by Li Qing, Lam Tung-pang, Yuan Song, Pixy Liao, and GAMA.